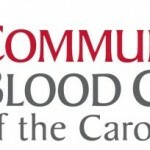 CPCC Service-Learning and the Community Blood Center of the Carolinas are partnering up to host a blood drive at Central Campus in the Overcash Center Driveway on Wednesday, April 18. The drive will run from 10:30 a.m.-2 p.m. If you wish to donate, feel free to drop in the day of or register for an appointment here. This event is open to students, faculty, staff, and the community! Every drop collected helps save local lives! Please come hydrated and bring a photo ID! to save lives in the Charlotte community, and every drop of donated blood stays local. Currently, there is a huge need for donors of all blood types, so please consider supporting CBCC’s mission and donate to help individuals in your community. To reserve an appointment that works best for your schedule, please click here, or feel free to show up on November 11 and donate on the spot. To donate, you are required to be at least 120 lbs., be in good health, and please remember to drink water and eat prior to donating. As a thank you, all donors will receive FREE T-Shirt from the Community Blood Center of the Carolinas! If you have any questions, please contact Savannah Greer at savannah.greer@cpcc.edu or at ext. 6739.
please click http://www.ncdonor.com/index.cfm?group=op&step=2&opid=40752. To donate, you are required to be at least 120 lbs. and have a full stomach. Plus, presenting donors will receive FREE T-Shirts and be added to a raffle to win FREE CPCC merchandise! 10 a.m. – 2 p.m. in the Overcash driveway. To sign up now, click here. Remember to drink plenty of water and eat a hearty breakfast before donating. Donors will receive a free T-shirt. Questions? Please contact Mary Mozingo. 2014 is your year! If you are wanting to give back to your community, giving blood is a great way to do so! The Office of Service-Learning, along with Community Blood Center of the Carolinas, is offering a blood drive on Tuesday, February 18 from 10 a.m. – 2 p.m. in the Overcash Driveway. To sign up now, click here and click on “donate blood” and enter sponsor code: CPCC. Remember to drink plenty of water and eat a hearty breakfast before donating. Donors will receive a free T-shirt. Questions? Please contact Mary Mozingo. CPCC, it is your time to give back and give blood! The Community Blood Center of the Carolinas (CBCC) returns to Central Piedmont Community College, Central Campus, for the Fall Blood Drive. On Tuesday, November 12th from 10 a.m. – 2 p.m. look for the CBCC Bloodmobile on the Overcash Driveway. CBCC is the blood supplier to our local hospitals. In this community, cancer, cardiac and transplant patients are the primary recipients of blood products. CBCC provides on average of about 400 pints of blood to our local hospitals per day. Help save lives and make a big impact in the community! Donors must weigh at least 120 pounds and be in good health. Please remember to eat a good breakfast and to drink plenty of water before donating. To reserve your spot, please go to this link and enter the sponsor code: CPCC. Questions? Contact Mary Mozingo. CPCC, it is your time to give back and give blood! The Community Blood Center of the Carolinas (CBCC) returns to Central Piedmont Community College, Central Campus, for the Fall Blood Drive. On Thursday, September 5 from 10 a.m.-2 p.m. look for the CBCC Bloodmobile on the Overcash Driveway. Community Blood Center of the Carolinas (CBCC) is the blood supplier to our local hospitals. In this community, cancer, cardiac and transplant patients are the primary recipients of blood products. CBCC provides on average of about 400 pints of blood to our local hospitals per day. Help save lives and make a big impact in the community! Community Blood Center of the Carolinas (CBCC) is the blood supplier to our local hospitals. CBCC is a non-profit organization which is locally managed. In this community, cancer, cardiac and transplant patients are the primary recipients of blood products. CBCC provides on average of about 400 pints of blood to our local hospitals per day. Please join us at CPCC’s Central Campus on Tuesday, March 26 from 10 a.m.-2 p.m. Everyone who participates in the March 26 blood drive at CPCC will receive a free T-shirt. Donors must be at least 16 years of age, weigh at least 120 pounds and be in good health. Please remember to eat a good breakfast and to drink plenty of water before donating. To sign up ahead of time, please go to www.carolinadonor.org, click on donate and enter sponsor code: CPCC. Questions? Please contact Mary Mozingo. One of the most important values of the Office of Student Life is giving back to the community. We take pride in our decade-long partnership with the Community Blood Center of the Carolinas and the thousands of units of blood we have collected from CPCC students, faculty and staff. Please visit the Student Life blog to learn more about our partnership, why you should donate, and for a list of upcoming blood drives on campus. We hope you join us in saving local lives and making a difference in our community. to help at 90 patient’s (30 donors) staying at our local hospitals. Everyone who participates in the drive will not only have a chance to save three lives, but will also be able to brighten a child’s hospital stay. Each donor is asked to sign a gift tag that will be attached to a stuffed puppy. These stuffed puppies are then delivered to area hospitals and given to local pediatric patients with the hope of bringing joy to a much-deserving child. Plus, presenting donors will receive FREE T-shirts and be added to a raffle to win FREE CPCC merchandise! Feel free to sign up by clicking here, click on “donate” and enter the sponsor code: CPCC. For further questions, please contact Mary Mozingo. When: October 30 and 31, 2012; 9 a.m. – 3 p.m.
On Tuesday, Sept. 11, all CPCC faculty and staff are encouraged to donate blood at the Community Blood Center of the Carolinas (CBCC) Blood Drive from 10 a.m. – 2 p.m. in the Overcash Driveway. CBCC, a local non-profit, is the blood supplier to our local hospitals. In Charlotte, cancer, cardiac and transplant patients are the primary recipients of blood products. CBCC provides on average of about 400 pints of blood to our local hospitals per day. For every pint that is collected at the CPCC September 11 drive, CBCC will make a financial donation to Classroom Central. Classroom Central provides school supplies to needy children within the Charlotte area. Everyone who participates in the September 11 blood drive at CPCC will receive a free T-shirt. To sign up to donate, simply log onto www.carolinadonor.org, click on donate and enter sponsor code: CPCC or contact Mary Mozingo. Donors must be at least 16 years of age , weigh at least 120 pounds and be in good health. Please remember to eat a good breakfast and to drink plenty of water before donating. CPCC’s Levine Campus has been awarded the College of the Year Award (2nd time) for having harvested more blood than any other college or university in North and South Carolina for the Community Blood Center of the Carolinas (CBCC). The Community Blood Center of the Carolinas is an independent, locally-managed, non-profit community blood center. They are the primary blood supplier to the region’s patients and hospitals. Click here to read more about Student Life’s contribution to CBCC’s mission and how this partnership is impacting our local community. Make a difference in your community by donating blood to the Community Blood Center of the Carolinas (CBCC). CBCC blood mobiles will be parked in front of Harper Campus on Tuesday, Feb. 28. Your participation will allow the blood that is collected to stay in our community. Donors can pre-register by emailing krystal.crowe@cpcc.edu or walk-in on the day of the drive. Come out and enjoy FREE refreshments and share your life-saving blood! When: Tuesday Feb. 28; 10 a.m.- 1 p.m.